I’m not sure what’s more impressive, that Beyonce’s “Single Ladies” dance syncs perfectly with a beloved children’s show theme song, or that DuckTales has such a danceable theme song in the first place. It’s not too often you feel inspired to get up and get your groove on while hearing a TV show theme. Thanks to YouTube channel Good Friends, this masterful dubbing will go down in history books, proving yes indeed, #BeyonceAlwaysOnBeat. But it’s not just DuckTales who got the Beyonce treatment in the last couple weeks. The “Single Ladies” dance specifically has been paired with some other animated show theme songs. The Fairly Oddparents anyone? If there’s a song out there, likely there’s a Beyonce dance routine that fits the beat. Everything from The Super Smash Bros theme song to Drake has been synced up with Queen Bey, and since the superstar pretty much rules the world, you know there are millions more where those videos came from. As for DuckTales they probably had no intention of being dubbed alongside the dance routine of one of the biggest pop stars in the world. 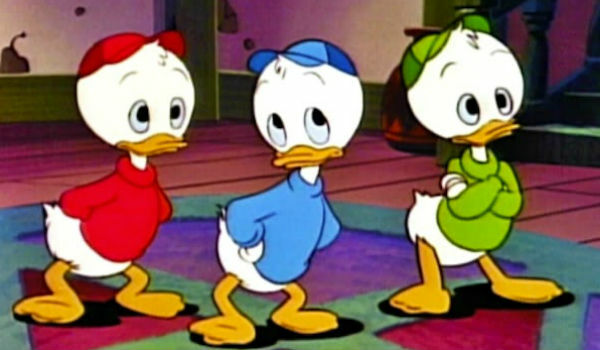 But hey, at least it got us remembering all the fun times we once had with Huey, Dewey and Louie. And just in time for Disney XD’s recent announcement to revive the series for 2017, too. Maybe the boys can show off some of their own Beyonce moves in DuckTales 2.0.